I thought about titling this post “E is for Egg Quiche”, but a quiche by definition is made with eggs, so I decided the “egg” part was obvious. This recipe is my own. I only had one meat, one cheese and one type of herb on hand so that is what was added. 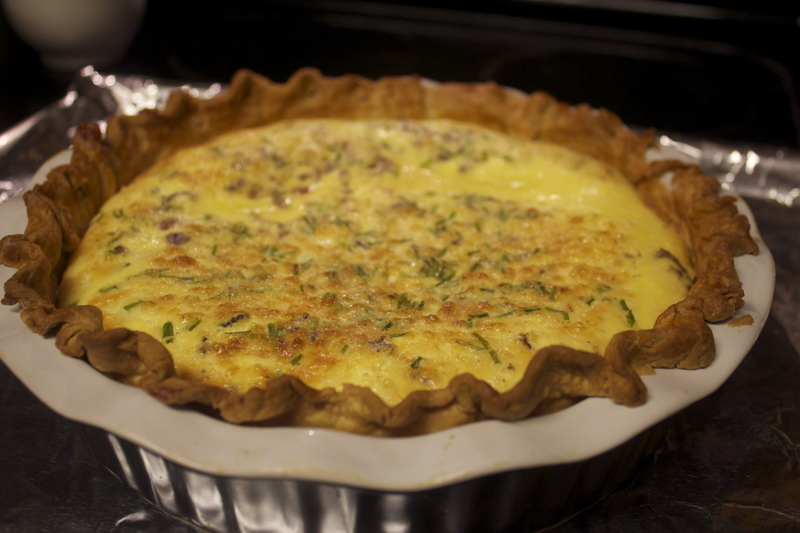 I read through over 50 quiche recipes to see how other people made their quiche (ratios, ingredients, etc.) 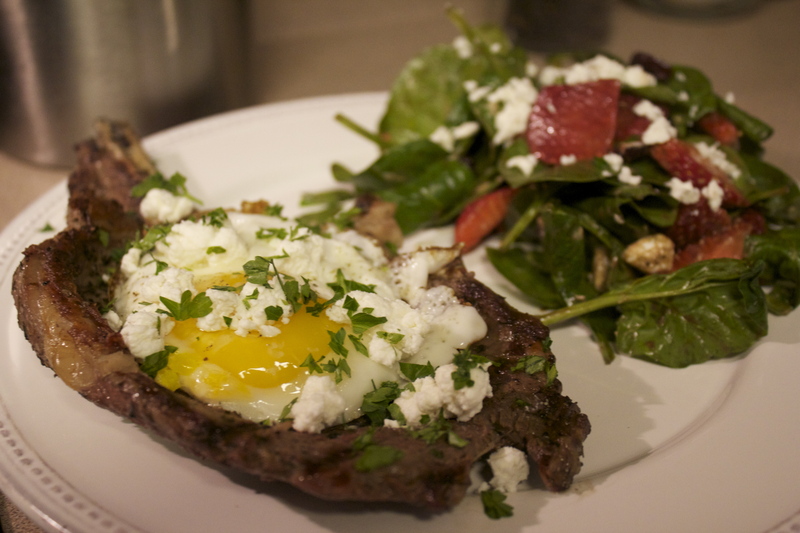 They ranged from fairly simple and a few ingredients to very involved and heavy with ingredients. Since I was going for a budget-friendly recipe, I needed something simple with just a few ingredients. This made TWO meals for my little family, but we are about the equivalent of 3 people (almost). You may easily be able to finish it off in one sitting! I would say it feeds four adults. Possibly more if it is served with a salad and/ or fruit on the side. Wow, that recipe title is a mouthful! Before diving into the recipe let’s stop for a moment and talk about PREP. If you’re like me you often rush into a recipe without reading the whole thing. So, you start the first instruction on the list and then read on as you cook along. This is great until you realize you needed to have five other things done before starting to saute the first thing, and then something burns or overcooks while you try to catch up. At this point you either start over because you’ve burned something beyond being edible or you accept the mistakes and serve your recipe as is. I speak from experience here.